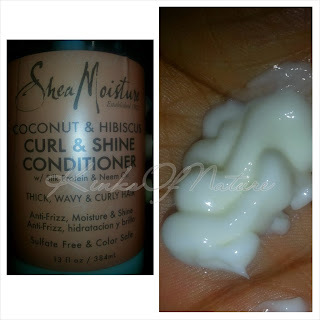 I've had Shea Moisture's Coconut & Hibiscus Curl & Shine Conditioner since it debuted last year. Now that my bottle is nearly finished, it's about time I put this review in a post. Product Claims: Shea Moisture's Coconut & Hibiscus Curl & Shine Conditioner for thick, curly hair restores moisture, detangles and smoothes dry hair cuticles. Helps tame frizz as it defines and enhances natural curls. 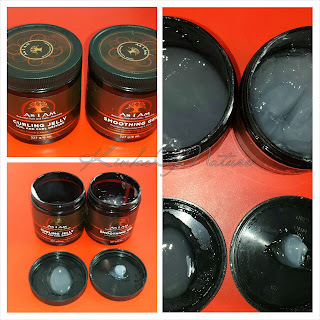 Thoughts: I like the Curl & Shine Conditioner, but I don't like it for its intended to use. The directions to state to use it as a rinse out. Now I know it says its a lightweight daily conditioner, but it's just too light for my hair. When I try to use this in the shower, it's a bit of a hassle. I don't feel like I'm getting enough conditioner out or that I'm fully able to coat my hair. When I am using a rinse-out conditioner, I need to be able to fully saturate my hair so that I can detangle. I can't really do that with this; its just too light. Although this doesn't work for me as a rinse-out conditioner, I like it as a leave-in ad . It's similar to Shea Moisture Coconut & Hibiscus Moisture Milk (review here), but with a wetter texture. It really smooths the hair and plays well with most stylers. The fragrance is just like any of the other Shea Moisture coconut & hibiscus products, which I love, a nice mix of coconut and floral. Shea Moisture Coconut & Hibiscus Curl & Shine Conditioner (13oz for $11.99) is available at Target, Walgreens, and other select online and brick-and-mortar retailers. Would I repurchase? Yes, because I use it interchangeably with the Moisture Milk. This comes in a bigger size, and the pump is handy.